Girls scored higher than boys in engineering and technology proficiency on the 2014 NAEP Technology and Engineering Literacy test, with particular differences registered by both white and African-American girls. The headlines hit on one of the most familiar themes in STEM education – the performance gap between boys and girls. Except this time, the script was flipped. In the first-ever national test of its kind, the National Assessment of Educational Progress in Technology and Engineering Literacy (NAEP TEL) showed the girls outdoing the boys. Some 21,500 8th-graders took the test in 2014, and 43 percent scored proficient or above. The story, though, lay in girls coming in at 45 percent proficient or above and boys at 42 percent. Other results felt more familiar, indicating substantial achievement gaps along race, ethnicity, and income divides. White students scored 56 percent proficient or above, Hispanics 28 percent, and African-Americans 18 percent. Students eligible for free and reduced lunch, i.e., low-income students, scored 25 percent, while those not eligible registered 59 percent proficiency. The results by demographic are clearly a primary take-away from NAEP TEL. But other notable features of the test deserve attention. NAEP in general is the only way to cut through state-by-state vagaries in standards and assessments. It’s not called the “nation’s report card” for nothing. As the first assessment of engineering and technology, NAEP TEL stands alongside the development of Next Generation Science Standards as a pillar of a new foundation in K-12 engineering and technology learning. Getting real, granular data about students’ abilities in these fields will help fill in the empty spaces where sophisticated learning standards, comprehensive instructional materials, and high-quality pre- and in-service teacher professional development will need to develop. Regrettably, a money pinch scotched the original plans to give the test also to 4th- and 12th-graders. However, these kids’ time with NAEP TEL will surely come. The test itself took innovative form. It was built around three core content areas: technology and society, design and systems, and information and communication technology. Students completed computer-based scenarios as well as discrete interactive questions in three core areas of content on the NAEP Technology and Engineering Literacy test. Students took the whole test on computers, with the bulk of the activities coming in scenario-based challenges, ranging from 10 to 30 minutes in length. They also answered 20 interactive discrete questions testing their reasoning abilities in the three larger content areas. The challenges asked the students to use varied modes of reasoning to solve problems related to water pollution in 19th-century Chicago, designing a bike lane, making a suitable cage for Iggy the iguana, and putting together a website to promote a rec center for teens. All the scenarios are available for people to try out themselves online. They’re great fun and not simple; I should have done better on them than I actually did. The results of the test showing girls outperforming boys attracted wide notice. Major media organizations ran pieces, including Time, The Atlantic, The Washington Post, Forbes, and The Christian Science Monitor, to name just some. In this space, we have explored in some detail the data around girls’ performance in math and science. They already earn as many credits in math and science classes as boys, and they get better grades in them. They take fewer AP exams in math and science, but this phenomenon is a function of choice, not ability. The NAEP TEL results only extend the string of data points demonstrating the fact that ability is not an impediment to girls entering and succeeding in technology and engineering study and work. 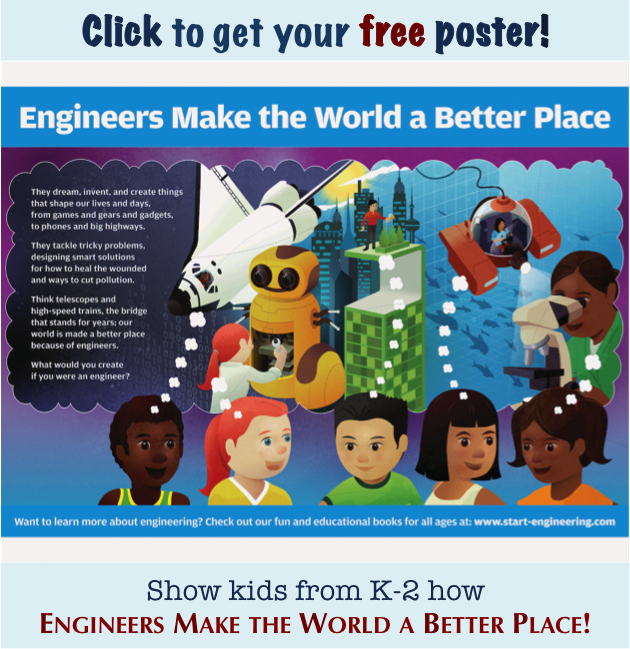 Girls can do the work required to succeed in engineering and technology. It's more a matter of culture in the field and the other choices available to them. The achievement gaps in race, ethnicity, and class, though, reveal something perhaps even more dire than is generally understood. Nearly two-thirds of students reported that they learn the most about how things work from out-of-school sources. Only 13 percent identified teachers as the prime source of such information. This disparity means that focusing on school-based interventions will comprise just one dimension of what will have to be a coordinated, multi-front approach to closing equity-based gaps. More broadly aimed activities across a diversity of learning environments will clearly be necessary to expand the numbers of students from groups under-represented in STEM fields. All the results from the test are accessible on the NAEP TEL website. The data-mining tools are robust, intuitive, and freely available. Besides delivering gold-plated intelligence about 8th-graders’ cognitive abilities in engineering and technology, the project offers education researchers and wonks of any stripe volumes of data to follow up on for use in scholarship, advocacy, or general communications. It represents a sterling, but not unusual, example of information sunshine, such as the federal government rarely gets credit for orchestrating. It is hard to overstate the importance to STEM education of conducting this test and making the results so easily accessible. But an even greater benefit might in fact lie in the testimonials offered by students who took the test. They thought it was fun. The problems were relevant and substantive. Solving them, even if just in a computer-based scenario, feels good. If we are going to register progress in making STEM come alive to greater numbers of more diverse students, we need an effective demand-side strategy. 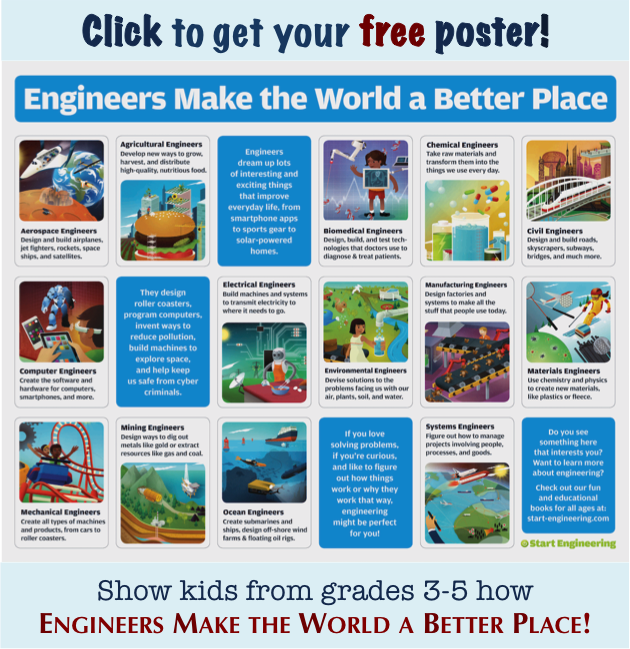 Students need to experience STEM in ways that make them want more of it. This is certainly our mission at Start Engineering. The NAEP TEL test shows that it is possible to succeed at this endeavor at any point of contact in the STEM learning circuit. If a test can be fun, why can’t everything else be, too? Want to receive blog updates by email? Join the 1,500+ subscribers to Start Engineering Now. 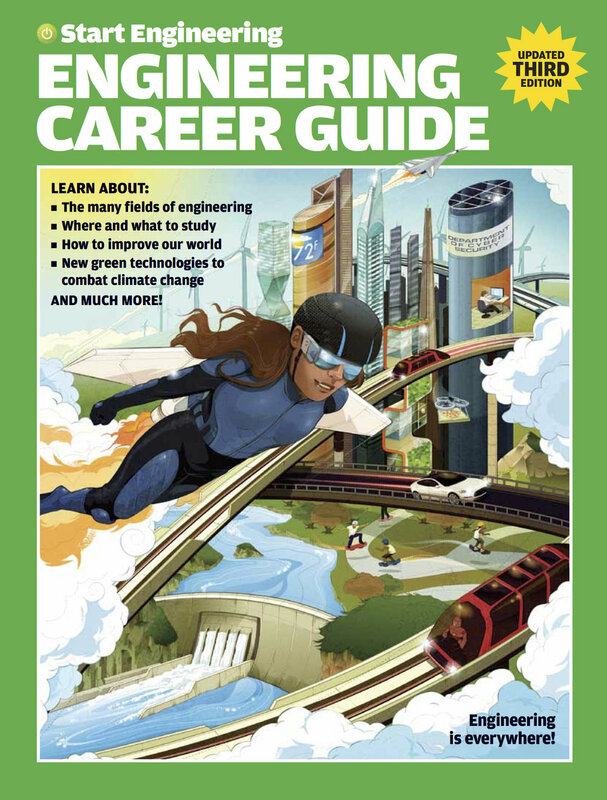 For any outreach or education program, all of our popular K-12 engineering books, What’s Engineering?, Dream, Invent, Create, and Start Engineering: A Career Guide, can help deliver an accessible, engaging picture of engineering to all kinds of K-12 audiences. Photo: Hard Work, Tine Kold Gundersen, used by permission.